TICKETS are on sale now! 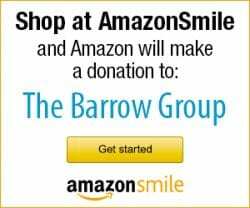 CLICK HERE TO RESERVE. 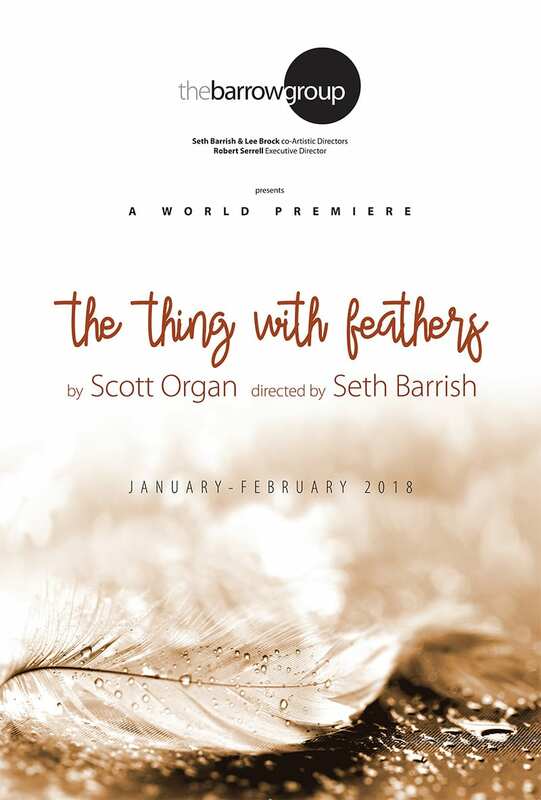 A world premiere, with a cast of four, The Thing With Feathers feels almost like a thriller as Scott Organ masterfully spins the tale of a teenage girl who strikes up a relationship with an older man on the internet. Things are not as they seem, however. What appears to be a classic predator tale unravels into a maze of secrets, lies & unexpected truths. As a culture, we are being asked to examine our actions, specifically where power is involved. This play brings that conversation home. Seth Barrish (“Sleepwalk With Me,” The Tricky Part, Expecting Isabel) directs another wonderful cast featuring Zachary Booth (The Winslow Boy, “Damages”), DeAnna Lenhart (Point Last Seen, Phoenix), Robert Manning, Jr. (Magic/Bird, “Blue Bloods”), and Alexa Shae Niziak (Matilda the Musical, A Christmas Story the Musical). The Barrow Group Theatre Company has produced a number of Mr. Organ’s plays (Phoenix; Afraid. Yes. Of. ; The Mulligan, The Faithful). His plays have been commissioned by The Atlantic Theater Company, developed by theaters including The New Group, Page 73, The Barrow Group, South Coast Rep, and have been performed and work-shopped throughout the United States, Europe and South America. Scott’s play Phoenix premiered at the Humana Festival of New American Plays and was subsequently produced at The Barrow Group and through Rattlestick at Cherry Lane Theater in New York with Julia Stiles. Phoenix has been translated into Portuguese, Spanish and French. His writing has been featured in Arts In The Armed Forces, performed by Laura Linney and Dianne Wiest. Scott’s plays can be found in New Playwrights – The Best Plays 2010, Humana Festival 2010 – The Complete Plays, New American Short Plays 2005, Best American Short Plays and Great Short Plays Volume 9. 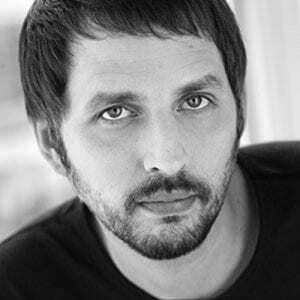 Scott is a writer on the short films Playdate (TriBeCa Film Festival, 3rd place – London City International Film Festival, Vimeo Staff Pick), The Board (TriBeCa Film Festival), The One (Palm Springs International Film Festival), and the features Phoenix and History of Technology. As an actor, Scott has been in over 50 commercials and films.